Andrew Warren submitted this concept in 2014 but it's remarkable how similar it is to the rumors of the Islanders' forthcoming third jersey design for 2018. Another day. Another outdoor game. Another concept artist with a fix. Truly, the easiest way to fix this Winter Classic would be to boot the Blackhawks from it, but since that ship has sailed, the next best thing would be a better sweater for Chicago. That's where Andrew Warren comes in. He was inspired by what the Hawks wore in the early 1950s. Some fans prefer the Flames' original uniforms. Some prefer the modernized look with the black trim. What we have from Andrew Warren today should please both sides. Andrew Warren likes the Ducks in orange so much, he thinks they should wear it full time. 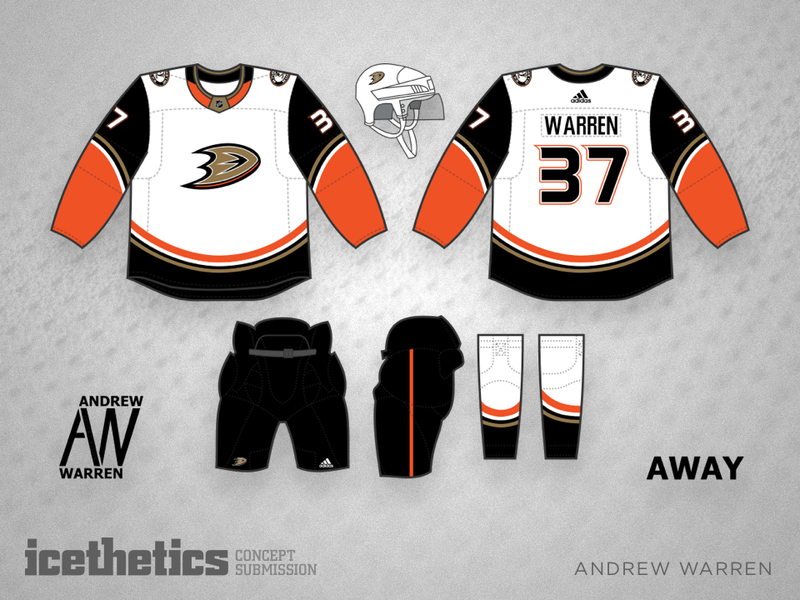 Here's what he's hoping for when Anaheim switches to Adidas jerseys next year. April Fool's Day falls on a Freak Out Friday this year. 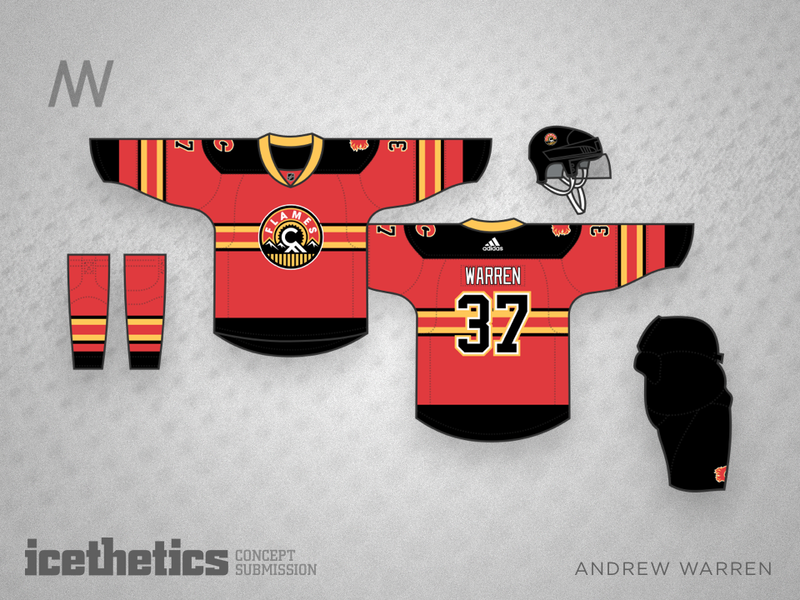 I wish I had a better joke to play but this Sabres third jersey from Andrew Warren will have to do. There's plenty to like about it and plenty to dislike. What's your take?